"Price Manufacturing has been in business since 1980 and our technology advancements have come in baby steps. Our first network provider was a two person operation and we were one of their minor accounts. When we had any problems, our company was last on their list of priorities. We learned to live with technology frustrations and our office efficiency was hampered by our inability to get timely improvements or corrections. I found Accent Computer Solutions from one of their mailings. They responded promptly and we were able to keep our existing network server while implementing improvements to the operating system and methods. This proved to be a cost effective transition, since our server was relatively new. My “computer language” might not reflect the correct wording for all that Accent did for our company. However, since our transition, we are now able to function like a modern corporation with complete offsite access to our computers, email exchange, offsite backups, and we get instant support. With their different levels of support, we can customize our service for our unique needs. Recently our SEO provider went out of business. I received a phone call telling me that our website was no longer operational. Within 2 working days, Accent was able to load up a temporary site and within weeks our original site was online. As we continue to use Accent Computer Solutions, I have found that we are more interested in expanding our use of their services. We recently had Accent update our telephone system and we are satisfied with the response of their telephone technology personnel also." 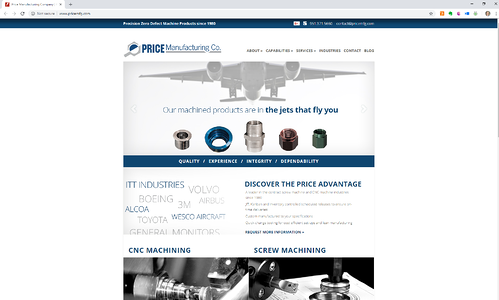 Office Manager at Price Manufacturing Co.